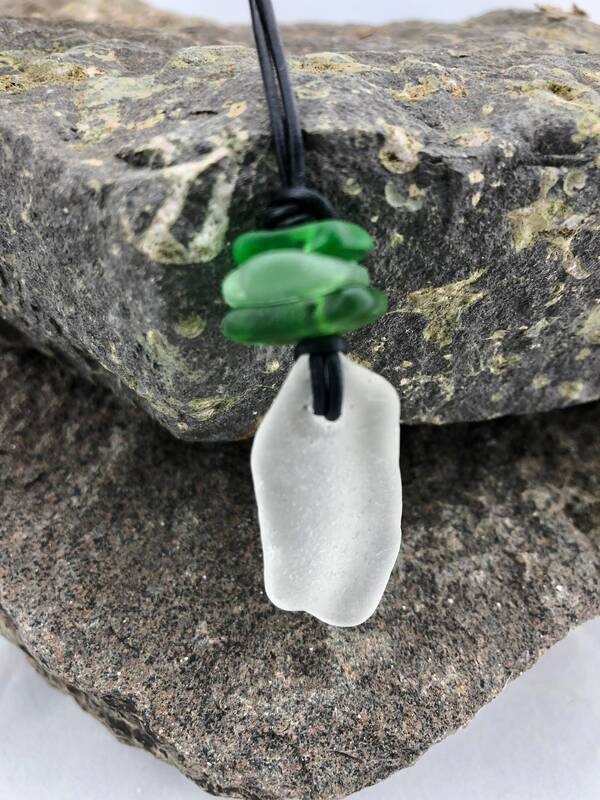 Genuine beach glass hand gathered from the shores of beautiful Lake Superior. 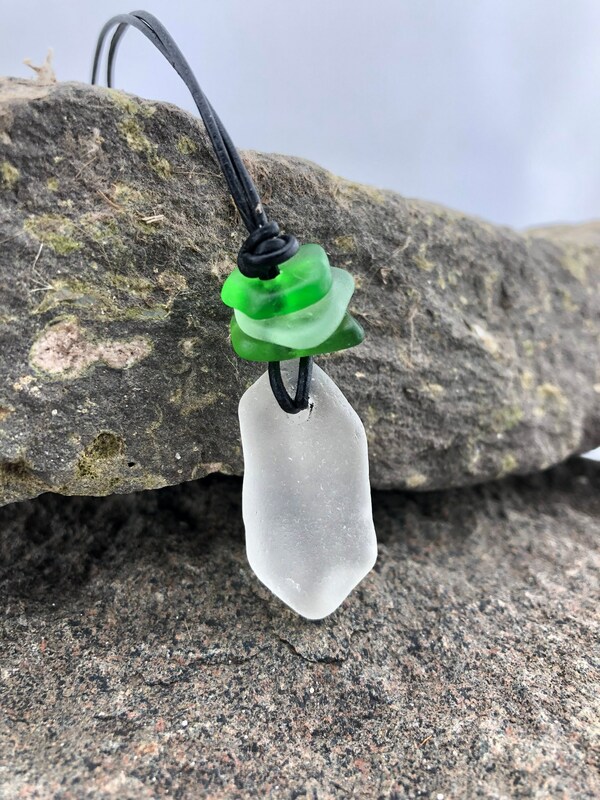 The pieces of beach glass used in this necklace were shaped by Mother Nature and remain in their natural, unfinished state. I have rubbed them with a bit of coconut oil to bring out their inherent shine. To keep the shine, periodically rub the glass with coconut or baby oil. 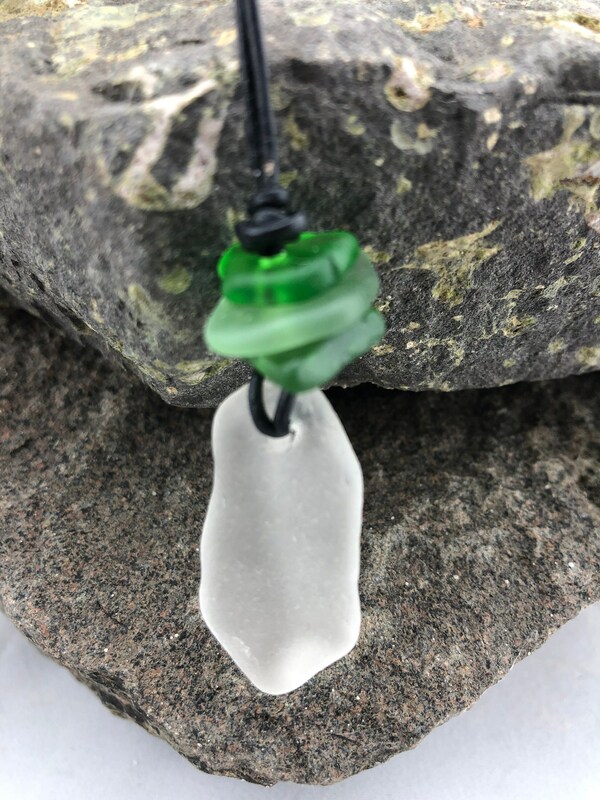 After carefully selecting and hand drilling the beach glass, the pieces are placed on a sturdy leather cord. 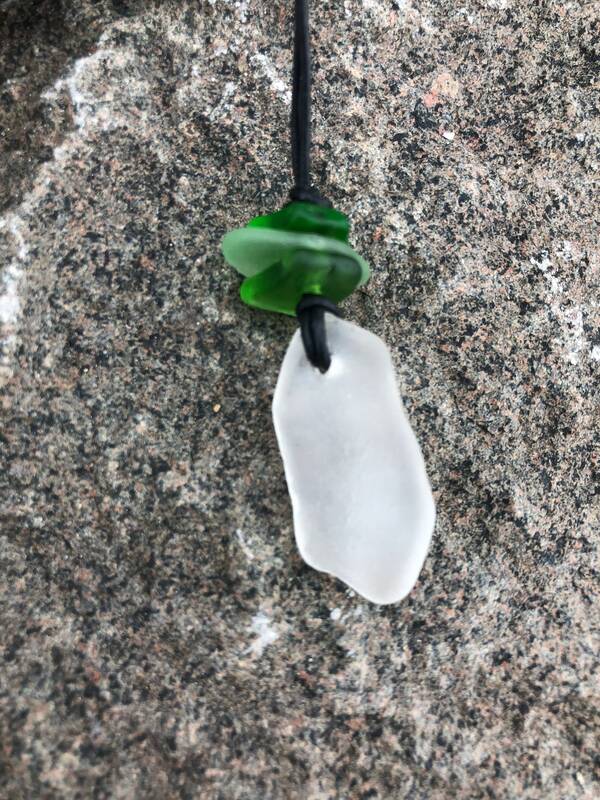 Two sliding knots will allow you to adjust the length of the necklace. 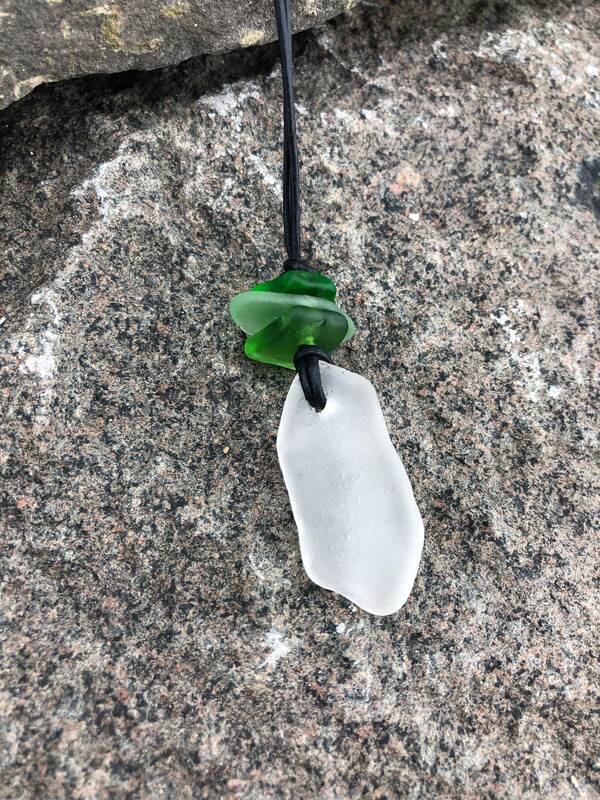 The focus piece of glass is beautifully frosted with a fang shape. Stacked on top of the focus piece are three pieces of glass in differing shades of green. 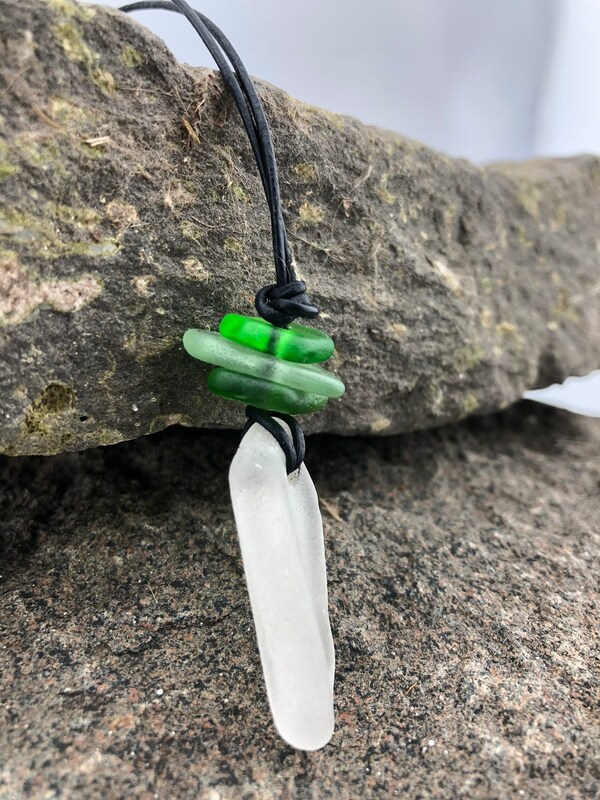 The genuine leather cord is 18 inches (measured from the back of the neck to the tip of the pendant) and has two sliding knots which will allow you to adjust the necklace to make it shorter. 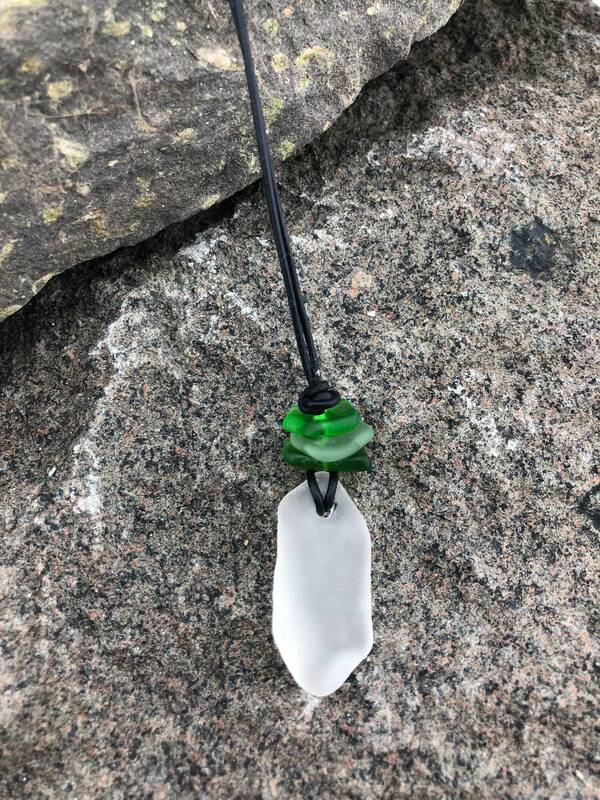 This necklace is perfect for layering and looks spectacular paired with another glass pendant or a stone necklace. 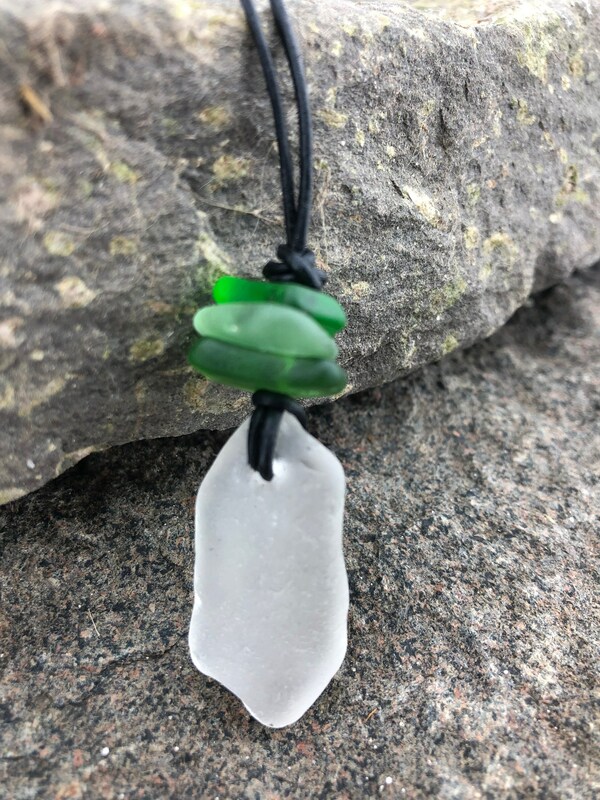 Please visit my shop at www.no4daughter.com to find other pendants. 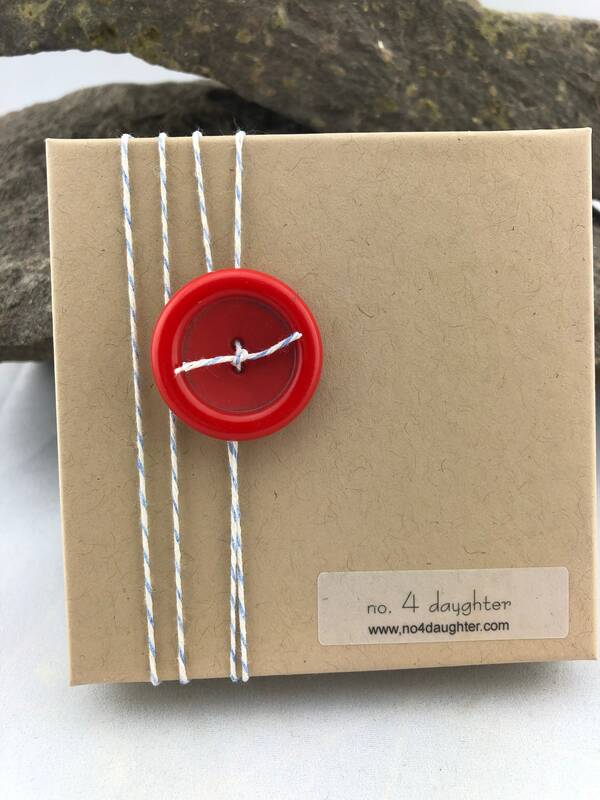 The necklace will arrive packaged in a gift box adorned with a vintage button and a bit of twine. The button pictured in the photo is representative and will not exactly match the button included on your package. 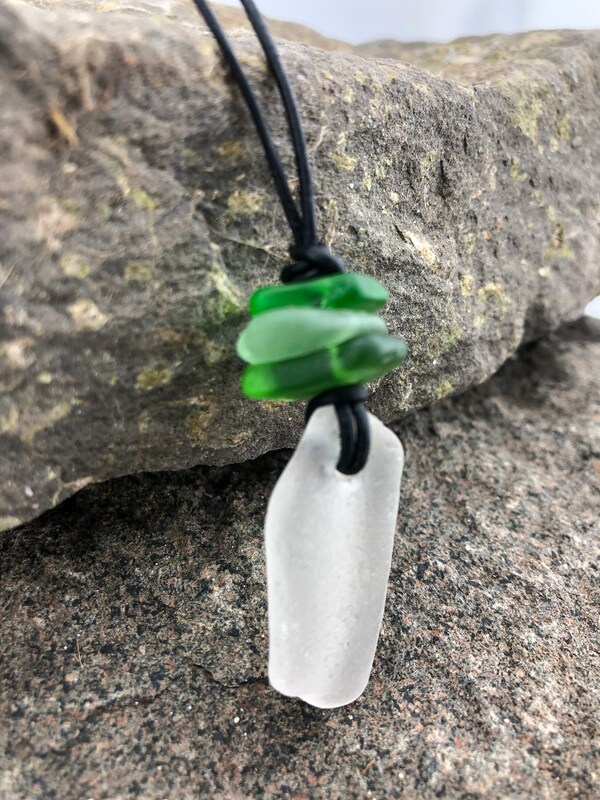 If you would like a particular color of button, leave a note in the comment section at checkout and I will accommodate you.